A wonderful opportunity to see the spectacular Inverurie Panto of "Aladdin" first at the Inverurie Town Hall on Friday 7th December at 7pm. All ticket sales go directly to CLAN Cancer Support. The below is a guide for how the seating will be arranged. 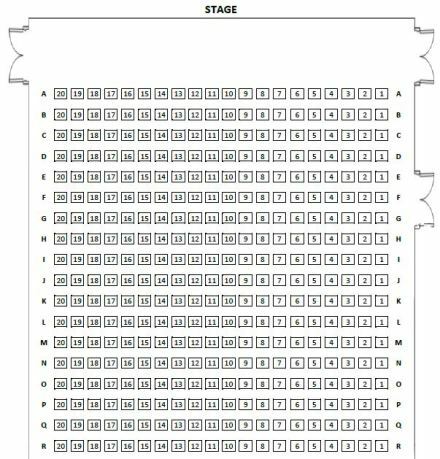 You will be able to choose which row you would like to sit in when you buy tickets.